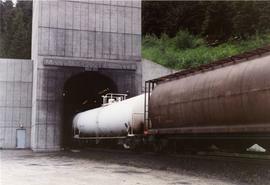 File consists of documentary photographs taken by David Davies of the CN Mount Macdonald Tunnel in British Columbia Rockies. 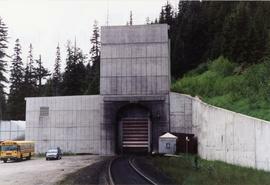 Photograph depicts the eastern portal of CPR Mount Macdonald Tunnel. Train passing through it. 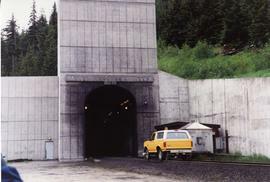 Photograph depicts the eastern portal of CPR Mount Macdonald Tunnel. 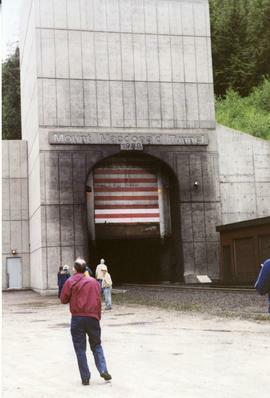 Construction for the tunnel began in 1984 and was completed on November 9, 1988. 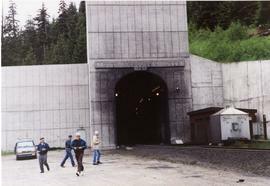 Photograph depicts the eastern portal of CPR Mount Macdonald Tunnel. 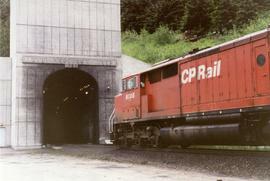 Photograph depicts a motor inspection vehicles passing through the eastern portal of CPR Mount Macdonald Tunnel. 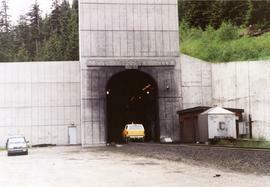 Photograph depicts the eastern portal of CPR Mount Macdonald Tunnel. Visible are delegates from the annual conference of the CRHA. 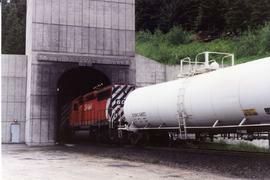 Photograph depicts westbound freight entering the eastern portal of CPR Mount Macdonlad Tunnel.